Acrylic on 4 pieces of 18" x 24" plexiglass with Japanese Chunky Kozo Paper. Date: August 2017. 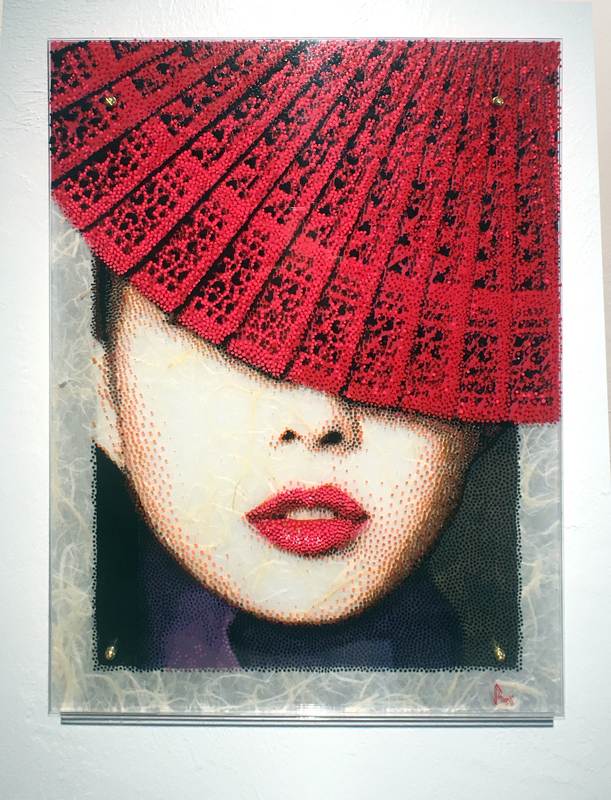 When I first saw this image by Chinese photographer Ze Jian of a beautiful Asian woman peeking out from under a scarlet red fan I thought of my Grandmother. My grandmother was not Asian, but she loved all things Asian. I lived with her until I was around 8 or 9, and remember all the wonderful Asian art, rugs, and furniture that surrounded me in my formative years. So when I saw this dramatic image, I just new I had to paint it. The image also gave me a chance to explore the ruff textures of the hiogi fan, and contrast it with the smooth texture of the lips and skin. All done in the layered style I'm currently developing. 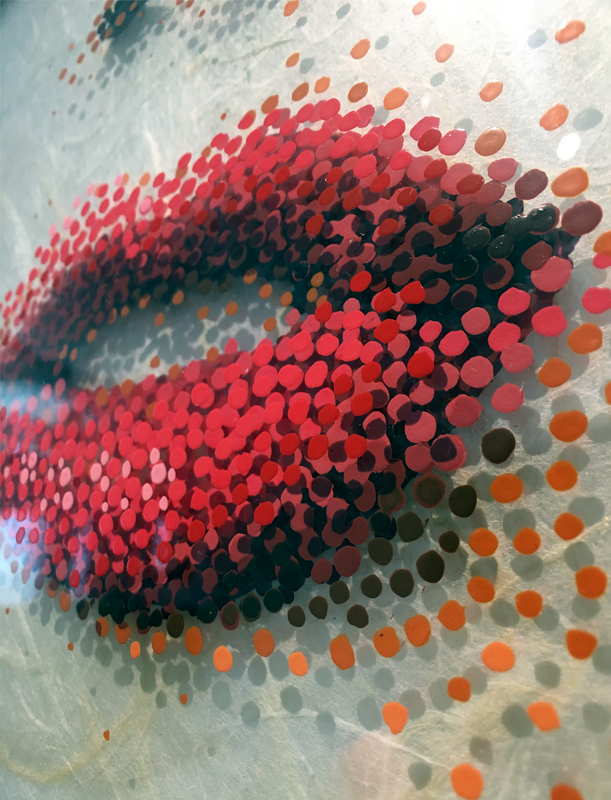 Each of the 4 sheets of plexiglass is painted with acrylic paint and contains a part of the final composite image. The effect creates a 3 dimensional painting that moves and changes as the viewers perspective changes. The last sheet of plexi has Japanese Chunky Kozo Paper mounted on it. The paper has open translucent areas that light passes through. I love the way it adds an organic feel to the painting, contrasting with the shiny plexiglass. The fan is (hiogi) style made of cypress-wood blades bound by a thread. Many inexpensive versions are currently used for outdoor wedding party favors and garden parties. Wikipedia says: According to the Song Sui (History of Song), a Japanese monk Chonen (938－1016) offered the folding fans (twenty wooden-bladed fans hiogi) and two paper fans kawahori-ogi to the emperor of China in 988. Below is a copy of the original image by Chinese photographer Ze Jian that I worked from for this painting. 2017 - Winner of Honorable Mention. "Members Juried Exibition" ArtistsRegistory.com, Orlando, FL. 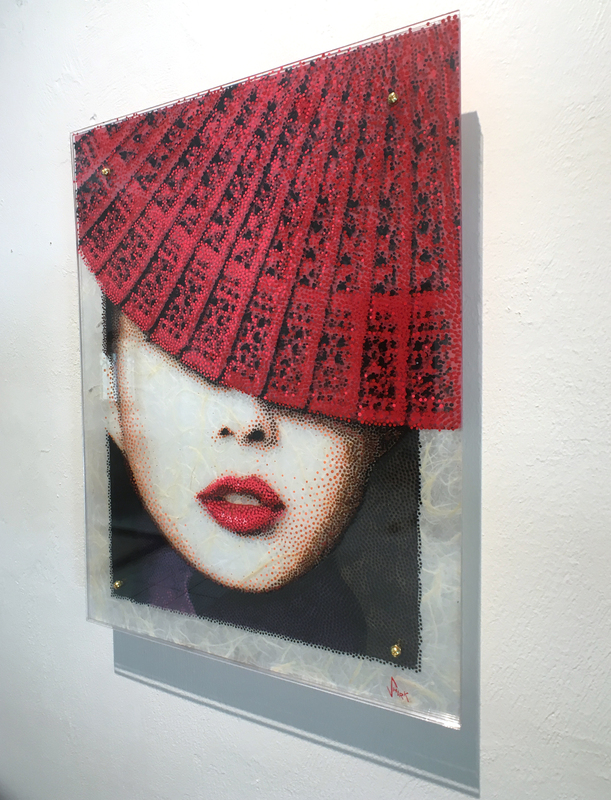 Here is a short 1 min video that shows what is printed on each of the 5 sheets of plexiglass for this painting. 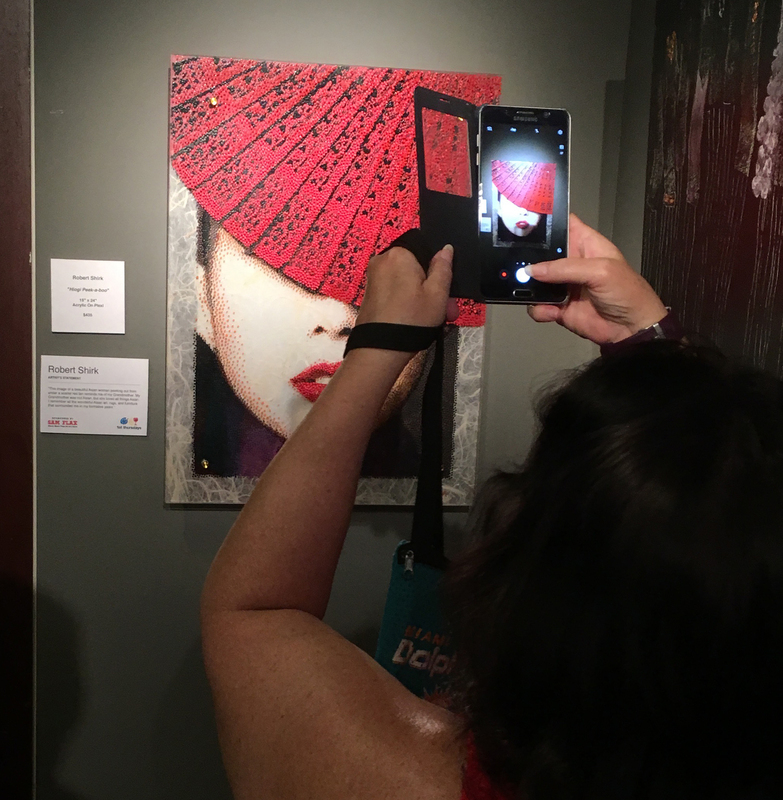 My painting 'Hiogi Peek-A-Boo' took a brake from hanging in my show at Arts on Granada and spent the night hanging at the Orlando Museum of Art 1st Thursdays: The Art of Fashion. It was a very fun night at the show. Spent the evening with some very talented artists and dear friends. 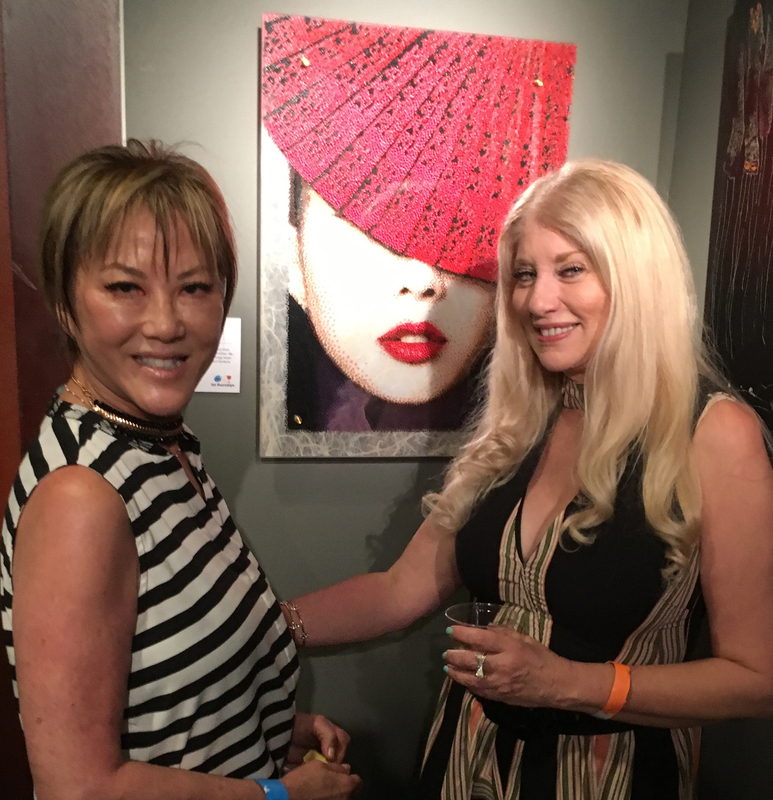 I had a wonderful time at CityArts Factory for the ArtistsRegistry Members Juried Show. Thanks to Jeff Shonkwiler for putting on the show, and doing a wonderful job hanging it. 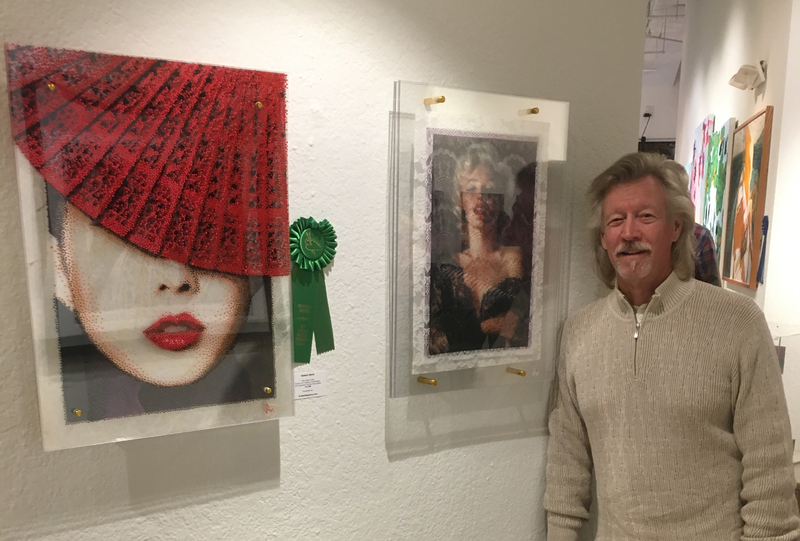 I'm also very grateful to Judge Ahlin for the Honorable Mention award my painting 'Hiogi Peek-A-Boo' received.